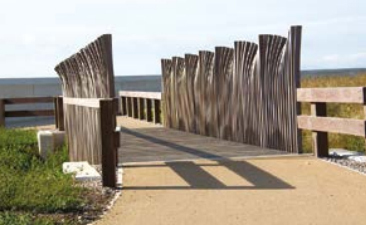 Three bridges with unique ‘wave’ style parapets were installed by CTS Bridges Ltd in the Mythic Coast inspired Ecology Park as part of the Rossall Coastal Protection Scheme. 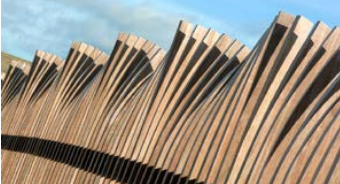 Artist Stephen Broadbent of Broadbent Studios was responsible for the design of the ecology park and his concept for the bridges required the parapets to have a wave effect made from hardwood spindles. CTS worked with Balfour Beatty and Broadbent Studios to develop the design into a buildable solution for the three bridges. Twelve spindles formed one wave effect and each of the Ekki hardwood spindles were cut to shape from a larger timber section to achieve the exact shape required. Once cut they were numbered prior to being methodically fitted by CTS’s joiners. The Ekki hardwood deck has Hi-Grip Excel non-slip inserts to provide a slip resistant surface on the multi use bridges. The three bridges were manufactured by CTS at their factory in Huddersfield prior to being delivered and installed on site in time for the opening of the Coastal Flood Defence scheme carried out by Balfour Beatty for Wyre Council in partnership with the Environment Agency. 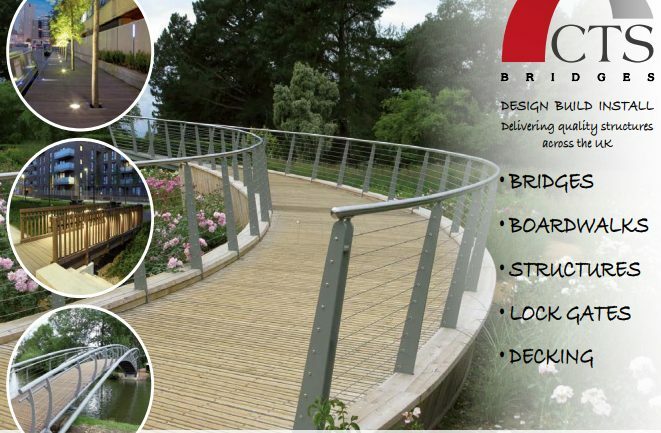 CTS Bridges Ltd specialise in the design, manufacture and installation of footbridges in timber, steel or FRP.